Virtueinfo provides customized Node JS development services that enables the clients to develop applications as per their requirements which will allow them to have a competitive edge against their competitors. Virtueinfo is one of the leading Node.js development company with experience of more than a decade in providing web and mobile application development services. Our dedicated Node JS developers has expertise of developing fast, secure and real time data streaming Node JS web apps for clients all over the world. Virtueinfo has created many secure and reliable Node JS applications with exceptional UI and UX. 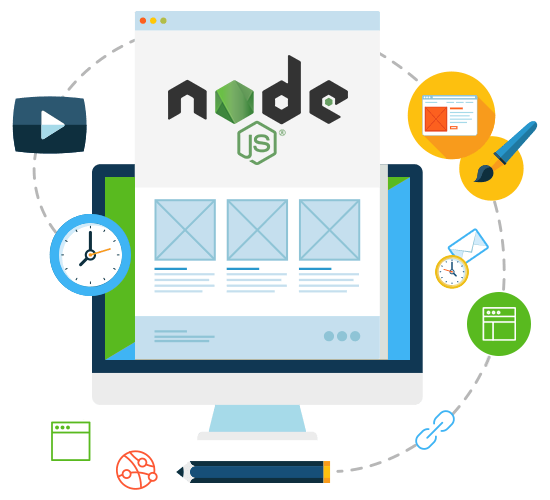 Node JS is an open source and hence it eradicates the complexity of coding thus allowing the developers a hassle free environment to work upon. For the development of real time applications like chats and gaming, Node.js is the best option as it is widely used to build multi user applications. Node.js provides the facility of caching single modules so developers don’t have to re-execute the codes as caching allows applications to load the web pages faster. One of the major advantages of Node JS is that developers can customize and extend Node.js according to the client's requirements. Our talented team of Node.js developers delivers creative and result driven Node.js applications development services taken into consideration each and every requirement of the clients. 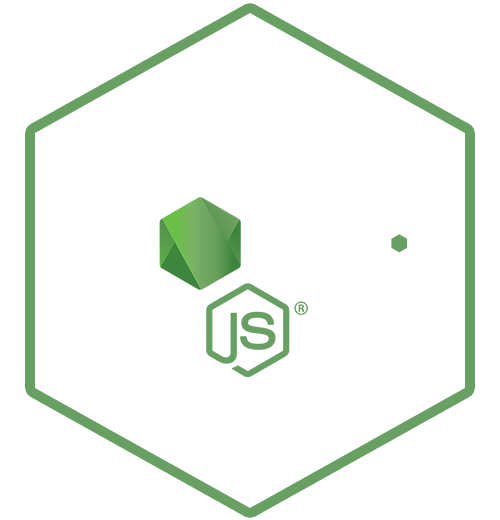 Our developers uses Swagger which is a famous open-source framework that helps to develop a robust RESTful API while at the same time providing an well-designed documentation. To develop an ecommerce application our first choice is Node.js as it is fast, secure, scalable and more reliable as compared to other open source platforms. For content management system development our Node js developers uses KeystoneJS which is an open source Node.js CMS built on Express and MongoDB. Virtueinfo provides real-time, interactive, cross-platform, responsive, and attractive native mobile apps development using Node JS platform. To effectively migrate existing applications built on any technology or platform to Node.js, our developers uses Node.js platform and runtime environment. As Node JS is an easy to work platform, we develop plugins that adds additional functionalities to an application thus making it stand out against other applications.